People don’t care about your brand. They aren’t interested in the awards you’ve won. They aren’t impressed with your case studies. They aren’t waiting impatiently for your next blog post. It doesn’t matter how – or why – you exist, and they could care less about your unique value proposition, your offers, your team, your brand colors, or your vision. What they DO care about, however, is their problems. Don’t we all have problems? Regardless of the specific problem, we care about them because they’re hindering us. They’re causing us pain, whether physical or psychological and keeping us from living our best lives, from being as happy and satisfied as we believe we could be. We care a lot about that, as we should. By extension, then, we ALSO care about products and services that can help eliminate – or at least mitigate – our vast array of problems. And that’s the primary job of a business – to manufacture, produce, and/or supply products and services that make people’s lives better. And it’s a marketer’s job to communicate that value. The problem for us marketers is that no two problems are exactly the same, meaning the ways in which people go about solving their problems with products and services are vastly different and often difficult to truly understand. Heck, developing an intimate understanding of just one industry’s audience is an amazing achievement. Nevertheless, that is our job. Because before we talk about understanding a marketing lifecycle, it’s beyond vital that we understand our customers’ journey, which begins with them not giving a crap about our brands. Unfortunately, too many marketers lose sight of this. They’re so well-acquainted with their own brand, and it’s so important to them, they assume others will easily be able to see the value their business provides. But it rarely works this way. In fact, consumers might not even be entirely aware that they have a problem, or think that it’s not a problem worth addressing. 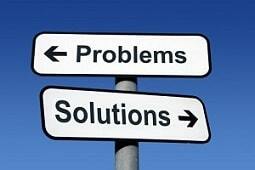 Or they might know about their problem and just not know there’s a solution – your offer – readily available to solve it. That’s why the first job of any marketer is to communicate a brand’s value; that is, how your offer makes your customers’ lives better by solving a problem. That’s where we’re going to start here, with the first part of this article focusing on generating awareness of your brand, followed by how to engage your audience, nurture your leads, close them, and then continue to delight them. After all, successful marketing is not a simple, linear equation. It often takes time for someone to both understand and accept the value of your solution and then be willing to shell out the cash to purchase it. 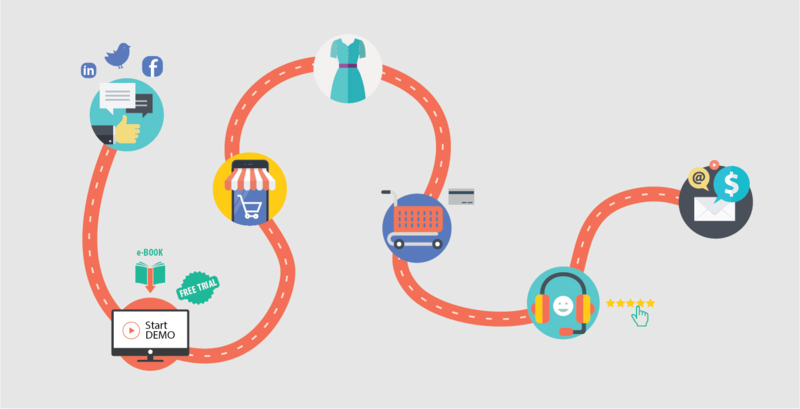 Hence, the purpose of this piece is to lay out each step of a customer’s typical journey with a brand, focusing on how different marketing initiatives can help you guide your customers to conversion (and even beyond). One of the great things about understanding your marketing in terms of a lifecycle or funnel is because it allows you to break the process up into multiple steps. Business owners and managers tend to care about one thing: sales. But sales can’t happen if people aren’t aware of what you’re offering, which is why “vanity metrics” are about much more than vanity. Sure, these metrics – including things like traffic, social media engagements, and impressions – aren’t enough in and of themselves. But they are where we all must start. And, as with each step of this journey, it all starts with understanding your audience and how you can best capture their attention, which depends a lot on your offer. Generally, how to capture attention is split into two areas: inbound and outbound. 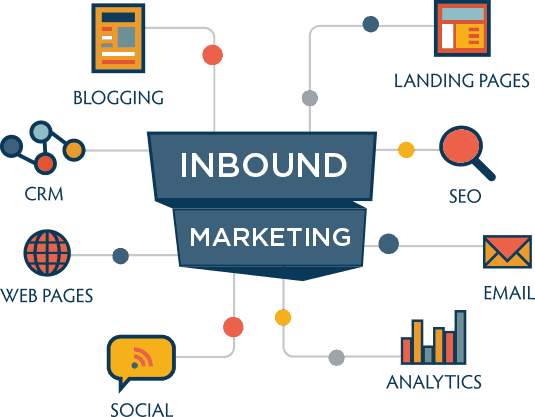 Inbound marketing refers to finding people who are already looking for what you offer. So, if you know that people are searching for your offer in Google – whether you be a local plumber, a SaaS business, or a shoelaces company – then that’s usually a pretty good place to start online. Usually, inbound marketing revolves around building out digital assets, including a website and content, and then ranking that content in Google through search engine optimization (SEO). Then, when people search for what you have to offer, you capture their attention and make them aware of your brand. The tricky part, of course, is the ranking part. Depending on your market, SEO is becoming increasingly competitive, with businesses in many industries spending thousands of dollars per month to achieve page 1 rankings (after all, who goes to the second page, right?). The good news is that if you’re not in a competitive niche, particularly if you provide a local service (meaning people will search something like “[service] in [city”], ranking well in search engines can be as simple as creating some great content and following relatively straightforward best practices. Of course, you can also pay for showing up on the first page, and running ads in Google is also a type of inbound marketing where marketers pay the platform to display their pages for certain keywords. Oftentimes, this works really well in concert with SEO, particularly if you’re just getting started and need to generate leads quickly. SEO takes times while Google Ads can start generating new leads today. Outbound marketing, on the other hand, is about putting your ads in front of people who aren’t actively looking for a product or service related to your offer. Ultimately, this comes down to where people’s attention is. In some ways, it’s about reaching as many people as you can, which is why Super Bowl ads are so expensive – there are LOTS of people watching. But it can also be about finding niche areas of attention that interest your audiences, such as trade magazines and websites. If, for example, you’re selling high-end glassware and a good portion of your sales come from your beer, wine, and liquor glasses, then placing ads in booze-related magazines could be a great way of capturing the attention of people more likely to buy from you. The great thing about today’s ad economy is that, with some platforms, you can get the best of both worlds – broad reach that’s also targeted. This is the beauty of Facebook ads. Facebook has the attention of BILLIONS of consumers – most of who spend a significant amount of the time on it each day – but you can tell the platform to only show your ads to specific people, whether that be determined demographically (age, gender, etc.) or psychographically (interests, behavior, etc.). So which is right for your brand: inbound or outbound? Again, think about how people discover brands in your space and start there. Also, keep in mind that it’s not necessarily one or the other. Inbound and outbound can work really well together to improve your reach and help you develop multiple lead gen channels. After all, if you’re relying solely upon SEO and then a Google algorithm update causes your rankings to tank, you won’t be at a total loss if you also honed in on some great outbound tactics. Okay, so now people are aware of you. They’ve found you – or you’ve found them – and you’ve taken up a very small part of their brains. How many ads do you think you see in a day? If you’re living in the U.S. and not residing under a rock, chances are it’s closer to 5,000. So even if you successfully place your brand in the laps of your ideal customer, chances are most of them aren’t even going to notice it. That’s where engagement comes in. Engagement is about getting people who have merely become aware of you to actually take some time out of their busy days to spend some time with your brand. Well, that’s the trick. What would cause them to spend time with your brand? That’s the question you must ask yourself when guiding your audience down the funnel, and it starts with understanding a bit more about them. What kinds of stuff do they like to read or watch? What problems are they currently dealing with? How can you help them? Again, this depends a lot on your product or service. If you’re selling deodorant, it might be all well and good just to make them laugh with some funny creative. On the other hand, if you’re marketing a B2B SaaS product, you likely want to keep it more buttoned up. Regardless of the type of content or special offer you work with, this is typically where you’re going to want to try to get a bit more info out of your audience, usually an email at the very least. 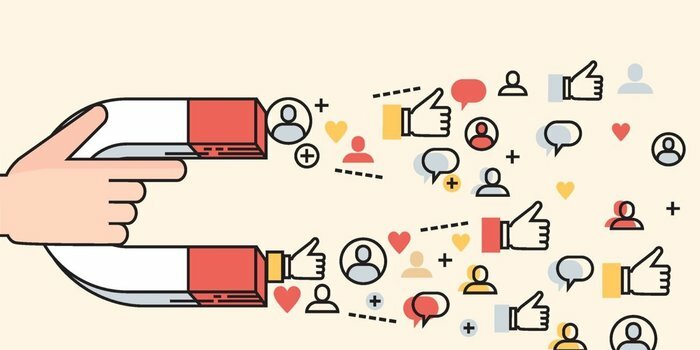 Not only does this allow you to nurture these leads down the line (more on that next), but it also forces them to give up some personal information, which tells you that they’re engaging with your brand and gives you the opportunity to start to shift the conversation more towards what you’re offering. Depending on your offer, you might start to see people jumping right to purchase after you’ve engaged them, especially if you have a relatively low-cost product. But for the tougher sells, with B2B services being some of the toughest, it takes more than a little bit of interesting content to get someone to spend thousands of dollars on your offer. You need to do some convincing. Usually, this involves continuing to show your value through more in-depth content or offers, including things like white papers, case studies, demos, etc. Again, it’s extremely important to understand where your audience is at this point. Are most of them not buying yet because of the price? Because of the hassle involved in setup? Because they’re still considering alternatives? Because they aren’t certain they trust you yet? Figure that out and then hone in on that messaging to reach this audience (which, consequently, is why it’s so important to have their email addresses at this point). The great thing about marketing technology in this day and age is that you can begin to automate a lot of things at this point. You might get a lot of great use out of a single case study, which can be sent as part of an email automation sequence (often called an indoctrination series at this stage of the funnel). And, ultimately, this can become as sophisticated as you want. The better you understand your audience, the more you can segment and automate. For example, if you send an initial email that includes links to a few different types of content, each of which will tell you a little something about that specific person, then you can customize workflows for each link clicked, tailoring a unique funnel for each of your varying audiences and their associated pain points. So, if your initial email includes three links, one to your pricing page, one to a case study, and one to a white paper about what it’s like to work with you, which link a person clicks tell you what they’re most interested in. If it’s price, then you can continue to send them automated emails that emphasize the great value of your product, maybe even a discount at some point. If they click on the case study, you can send more emails that focus on the results you’ve gotten for past clients, and so on and so forth. But ultimately, you’re trying to get them to do more – namely, pull out their wallets and purchase. Which leads us to the big sale, what we’ve all been waiting for. At this point, your so-called vanity metrics should be looking pretty good. You’ve proven your ability to drive awareness with traffic, impressions, and/or social engagements, and you’ve shown that you can also drive engagement through growing your email list, getting a high open and click-through rate, etc. Now’s the part when a business owner starts to perk up. 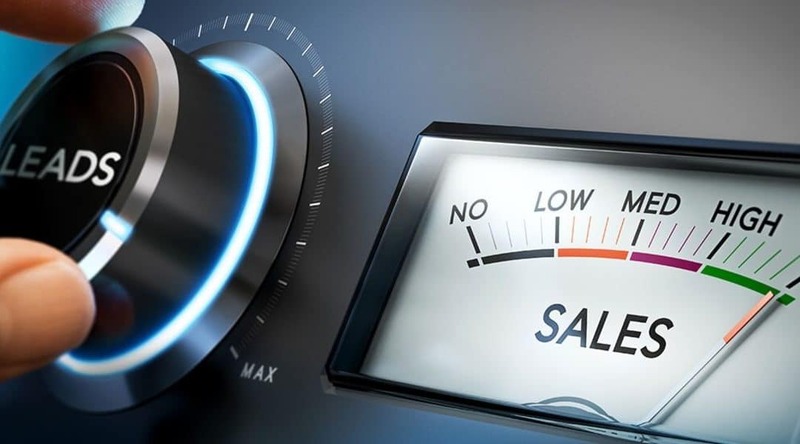 Depending on your business model, things might start to overlap with sales at this point, but we’re going to focus on how marketers can support sales through making the transition from engagement to conversion as simple as possible. One of the best examples of this is the free-to-paid trial model, where you input your credit card to get free, limited-time access to a platform. Then, once your free period is over, your credit card is automatically billed, meaning there’s ZERO friction getting a person to become a paid customer. In fact, there’s more friction in actually canceling the service, which is why so many big companies, like Netflix, use this model. But if you’re not offering some sort of subscription service, then the challenge is greater at this point. You have to get people to the point that they’re so interested in and excited by your offer that they don’t have to think too much about how much it’s going to cost them. The good news is if you’ve done a good job from the start and have developed a highly engaged audience, this becomes a lot easier. That said, there are still some ways that you can make this easier, oftentimes by offering a free trial, consultation, or demo. After all, at some point, you have to trust in the value of your product to keep people around. Remember – that’s why they’re here. Not to read your emails, watch your webinars, or like your Facebook posts. They’re here because they think you might be able to solve a problem for them, and your ability to do so always comes down to the quality of the product or service. This is a cycle, after all, and if you view marketing as a finished job once the sale is made, you’re forgetting a really important function of marketing: marketing to your existing customers. This is particularly important for subscription models, monthly service work, and business models that rely upon repeat customers. After all, that initial sale was awesome, but even though you now have that customer’s coveted credit card number and the right to bill it, you still have to get them to continue to agree to pay for your product or service – over and over and over again. Label with congratulation on white background. 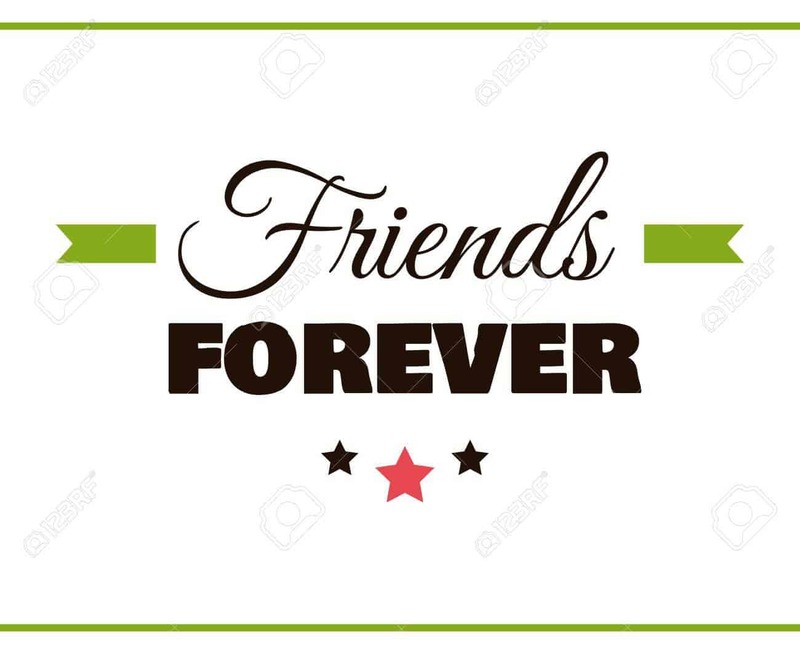 Friends forever. Vector illustration. As mentioned at the end of the last section, this is largely about the integrity of your product – probably about 90% or so. 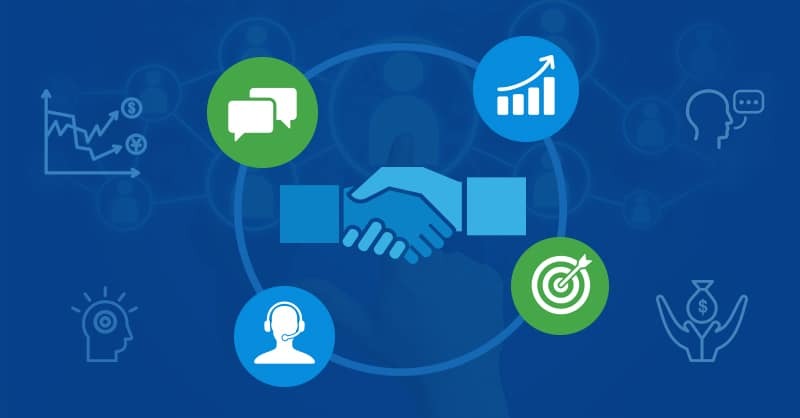 But there are ways that marketers can work in tandem with customer support to continue to delight customers on a regular basis. That might include things like a monthly client newsletter, periodic surveys, special offers for loyal customers, etc. In addition, an immensely important thing to consider at this point is your referral marketing. Are you encouraging your customers to send their friends your way? If not, you should be. One of the most common ways this is done is through referral benefits, including things like special discounts for people when others sign up for an account using their referral code. It’s great when they’re so thrilled with your brand that they just do this naturally, but it sometimes takes a little extra incentive, which works really well for some brands. The great thing about referrals is that it largely cuts out the need for the first two parts of this lifecycle: awareness and engagement. After all, if someone they trust has told them about how great you are, they’re both aware of and engaged with your brand from the word go. They want to know more. 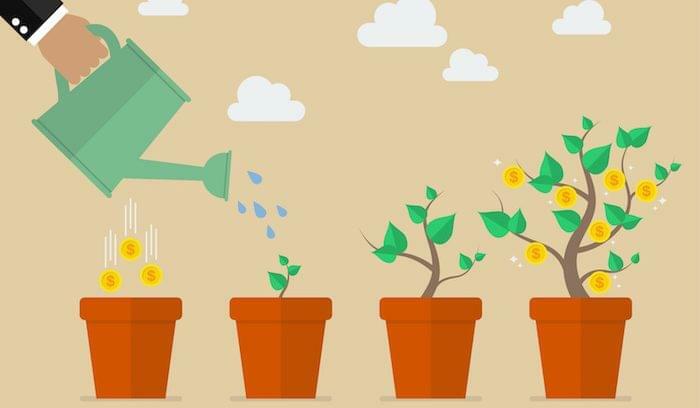 In fact, you might even build out a separate nurturing funnel for referral leads if it makes sense for your business, or you might even be able to skip straight to the final conversion portion of your lifecycle. In other words, referral leads are about as cheap as they come. Hence, if you know your cost per acquisition (CPA) is typically $100, then throwing an existing customer than $100, or a portion of it, makes complete sense. Ultimately, this speaks to the importance of not viewing marketing as something to tack on to an existing business but something that should be an integral part of it from the very beginning. But that’s for another time. A marketer’s job is never done, is it? Not Sure How To Manage All of This? This all sounds pretty straightforward, doesn’t it? On paper, it always does. But actually implementing all of this can be pretty tough, particularly if you’re running a one-man show or have a small team that’s already stretched thin. So, if you’re feeling overwhelmed with managing all of your marketing efforts, consider checking out EngageBay. If you’ve read this far, you know who we are and you’re engaged enough to actually read through this whole thing, so why not take the next step and try us out? You can do so for a whopping $1 for 60 days, regardless of the package you think is the best fit for you. Our mission is to provide an extremely affordable option for managing the majority of what was discussed above, and we’d love for you to check us out. Head on over to our Pricing page to learn more and shoot us an email at support@engagebay.com if you have any questions.